Home / A.C.A.B Gang / Cyber Crime / Falciani / Leaks / Privacy / Can hacked information be used to make yourself heard against them? Can hacked information be used to make yourself heard against them? Ignacio Arsuaga, president of HazteOír. /HazteOir.org (Wikimedia). What if an offense is discovered in the documentation? The result of an extrajudicial 'hacking' does not work in a Spanish court. There is only one precedent: the Falciani list. Last Wednesday April 5 The Confidential published a news about a massive hack to the servers, databases and profiles in social networks of the Catholic organization fundamentalist HazteOír. The digital newspaper said that the authors of the hack, a group calling itself ACAB Gang, had already filtered more than 15,000 documents with information on finance, denunciations, connections and strategies of this association. Twitter proceeded to close the ACAB Gang account within a few hours. If you try to locate in this social network, a sign will appear that confirms that the account has been suspended. The incident did not, however, remain in those more than 15,000 documents. ACAB Gang said they would allow access to the database containing all the donations received by HazteOír, which would mean that the identities of his patrons would be exposed. They also started publishing personal information of the president of HO, Ignacio Arsuaga. 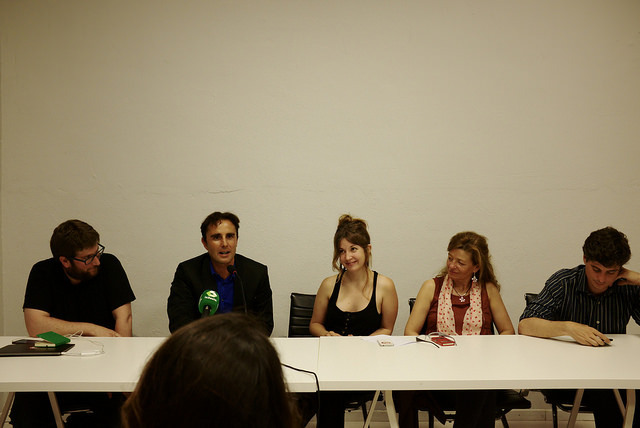 The journalist specialized in hacktivism and cybersecurity, Mercé Molist, also published in El Confidencial a profile of the cybernetic collective after contacting them on Twitter. "The attackers acknowledged that their activities were "cyber criminals" and rejected the appellation of "hacktivists"
The ACAB group had no qualms about recognizing that their activities are "cybercriminals" and rejected the appellation of hacktivists. They claimed to have acted illegally, but in conscience, since it seemed "ethically disgusting how the Arsuaga organization acts" and claimed to have committed this action "by the collective LGTB", ie, Gay Lesbian Transsexuals and Bisexuals. ACAB Gang also gave a term to HazteOír: if in 24 hours HO did not contact them, then ACAB would continue to filter documents. According to the group told Molist, they wanted to talk to HO for the fundamentalist Catholic organization to put down that attitude. View of the facade of the Supreme Court. / Luis García (Wikipedia). Subtracted information, like all information stored under lock and key, could be liable to contain curious data, objectionable actions from the ethical point of view, inconsistencies from the point of view of the association's own ideology or, directly, criminal behavior. What would happen then if the last case mentioned? The evidence obtained "violating rights or freedoms"
Article 11 of the Organic Law of the Judiciary is clear in this regard. The evidence obtained "violating fundamental rights or freedoms" will not be admitted. Therefore, we can deduce that if the hacking has not been authorized by a judge, such evidence will not be valid. Even if authorized, it could be discussed the proportionality of the same depending on its scope. Article 588 of the Law on Criminal Procedure (LECRIM) provides that the competent judge may authorize the police officer to use a user's identification data and codes. It could also authorize the remote and telematic inspection of the device of the investigated without the one affected by the investigation has prior knowledge of this procedure. With regard to proportionality, this measure is only applicable for the investigation of crimes "committed within criminal organizations", terrorism or those committed against minors or the like, that is to say against persons with "legally modified capacity" ", among others. Hervé Falciani, second on the left. / Nicolas Vigier (Flickr). On February 23, the Supreme Court issued a ruling dismissing the appeal filed by the defendant of a convicted person for two crimes against the public treasury. In the process followed against this person, the Falciani list was admitted as proof of charge. By recourse to the Supreme, the defense of this man pretended that the High Court reversed this consideration. The core of the defense strategy, as evidenced in the ruling, was that the main evidence against its client had been illegally obtained. The Supreme Court finally reasoned its decision by arguing, among many other questions, that the doctrine of obtaining a test violating fundamental rights "does not respond to a static photograph", and that it has undergone an "appreciable" evolution. In the case of the Falciani list, it was not subtracted as part of an operation with national or foreign police services. In addition, the High Court explains in its ruling, the files with this data were offered to another Swiss bank with the expectation of obtaining an economic return so, according to the magistrates, also the mobile to use this documentation from the beginning as Trial in a trial. 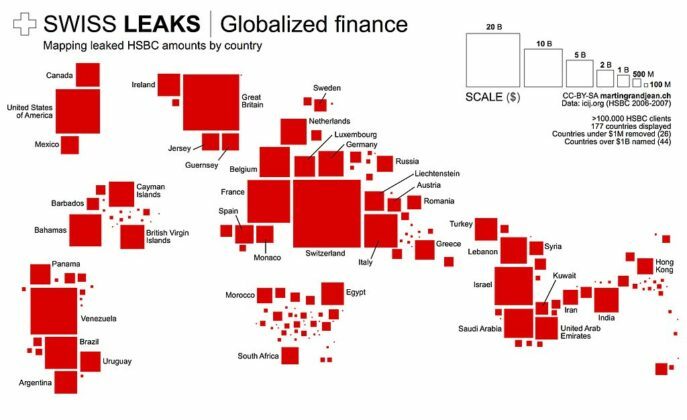 The leaks from the Falciani list, on a world map. / Martin Grandjean (Wikimedia). Careful with what you want, it can come true. We are not discovering gunpowder if we say that an association like HazteOír has followers, but also great antipathies and detractors, many of them with a notable media presence. You could also say that so many are on the Falciani list and have accounts in Switzerland where they deposit amounts of money that may not have been declared to the treasury of their country. 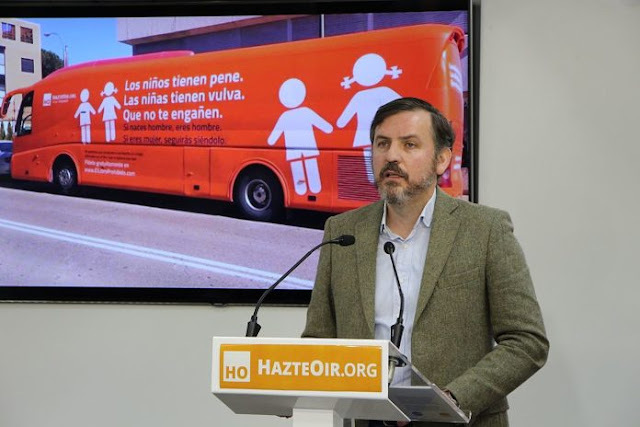 However, there are also experts such as computer scientist, engineer and lawyer Sergio Carrasco, consultant in FASE Consulting, who consider that the jurisprudence created by the Supreme Court with this sentence can have dark consequences in the future. Carrasco has written an article where he sees a fundamental difference between the hackeo to HazteOír and the Falciani list. 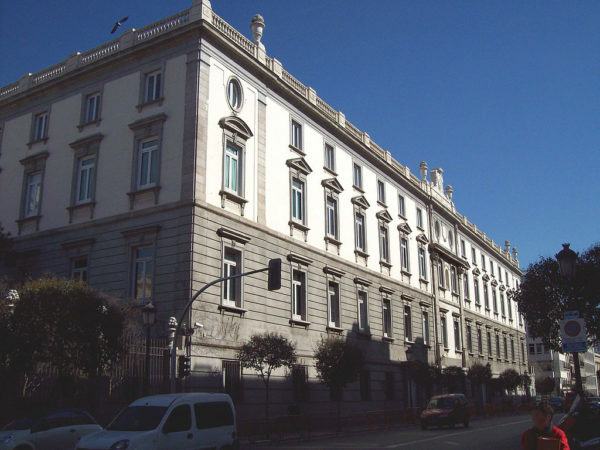 In the second case, if the profit motive ruled out that the list was intended to be presented as evidence before a court, in the case of HO there would be an attempt to "show evidence of conduct conducted by the association"
However, the Supreme Court's ruling on the Falciani list would allow in a hypothetical indictment against the Arsuaga association to claim that the abduction of documents does not overprotect the accused would have been executed by an individual unconnected with the state - this would be the "determinant" - and the subsequent leakage would respond to a form of protest, another issue is for a third party to try to use a particular aspect of the information as evidence before a court. "Why submit to judicial control and the limitations of the police if I can go to a private individual?" Carrasco sees in the admission as proof of the Falciani list a "dangerous precedent", since "it almost seems to be understood that, since it is not the State that has exceeded, the proof is valid", he affirms in his answers to market . "Why submit to judicial control and the limitations of the police forces if I can go to this route as long as it can not be shown the link with the powers of the State?" Carrasco concludes with this rhetorical question.